I’ll begin by saying this, What a story and testimony! 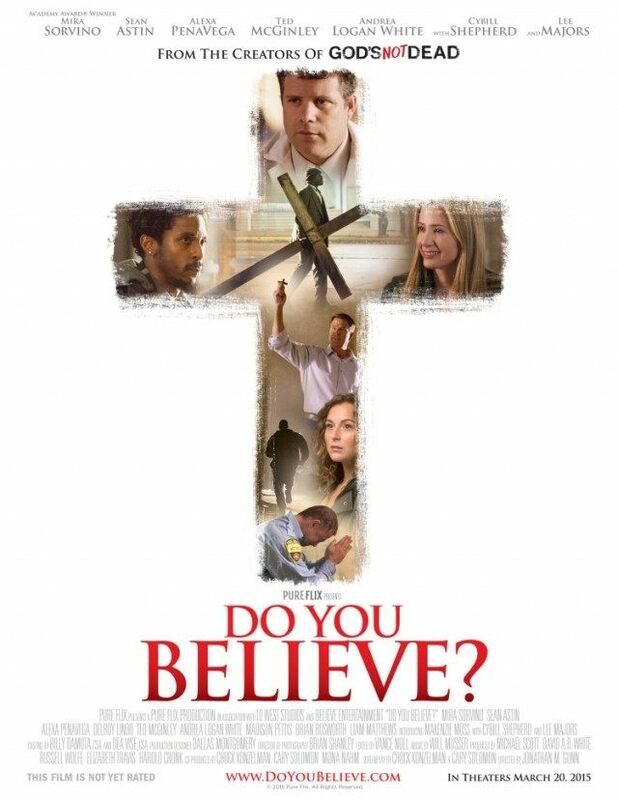 When I saw this Christian movie I was blown away by this true story and how courageous Rachel Scott was! 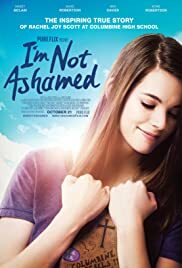 I’m Not Ashamed is another excellent project made possible by PureFlix Entertainment. One of the aspects of the movie that to me was extremely powerful was Masey McLain who plays the role of the main character, Rachel Scott. She plays this character with such sincerity and I can’t imagine the difficulty of the task at hand for Masey. To embody this special young woman and portray her personality as best as possible. I’m Not Ashamed is based on the story of Rachel Joy Scott and her journal entries. She was the first victim of the school shooting that occurred on April 20, 1999, at Columbine High School. This story is set in Littleton, Colorado and at the beginning of the movie, we go back a few years when the main character, Rachel was younger. She notices her father leave in the middle of the night. This causes a strain on the household and her mother is not able to gather enough money to be stable. She is indeed struggling and encourages her kids to pray to God for economic help. This is the beginning of Rachel’s growing in her faith. The film fast-forwards to Rachel’s sophomore year at Columbine High School. This time we see a different Rachel (played by Masey McLain) than this faith-filled young girl we had seen in the beginning of the movie. She has obtained a rebellious attitude and is constantly sneaking out to be with her friends. Noticing her daughter’s sneaking out and that her rebellious behavior has been increasing, she sends Rachel to Louisiana where Rachel’s cousin lives. There Rachel accompanies the family to church and she reconciles with her faith and God. Back home, a new school year begins. On that first day, Rachel sees how the jocks are continuously picking on two guys, Eric and Dylan. One of them threatens the jocks about killing them. I’m Not Ashamed not only does it mainly focus on Rachel’s story but it gives us a glimpse into the troubled lives of Eric and Dylan, the two who started the shooting on the school months later. That year, Rachel from I’m Not Ashamed is assigned drama club and there begins to hang out with the head of the club, Alex, who quite frankly gets her hopes up as she gets involved with him romantically. Rachel continues to go to youth group and outside she meets Nathan, a homeless young man, she decides to help him and find him a safe place to stay for which Nathan is extremely grateful for. Although she’s going to church, Rachel continues to hang with Alex and his crowd which are not of good influence. Because of this, Rachel begins the rebellious streak and continues the partying. In fact, in one of those parties she discovers Alex involved with another girl, this devastates her plus at school, she has begun to be a victim of bullying, this pushes her to the brink and the thoughts of ending her life are invading her head. Her friend, Nathan, whom she helped earlier on, continues to encourage her to continue going to church and she embraces her faith again. She begins to inspire others, spreading the love of Jesus to those around her and being someone people could come to with their troubles. On the other hand, Eric and Dylan continue to hatch up a plan to take revenge on the school. Rachel had somewhat lost her relationship with her friends and reconciles with each of them and helps them by listening. The day of April 20, 1999, arrives and Rachel is outside helping another student when Eric and Dylan approach them violently. Rachel is injured already as they continue to approach her and ask if she still believes in God, surely Rachel answers, yes and this is the last words she ever said. The two individuals storm inside the school after that and end the life of more students, teacher and their own lives. 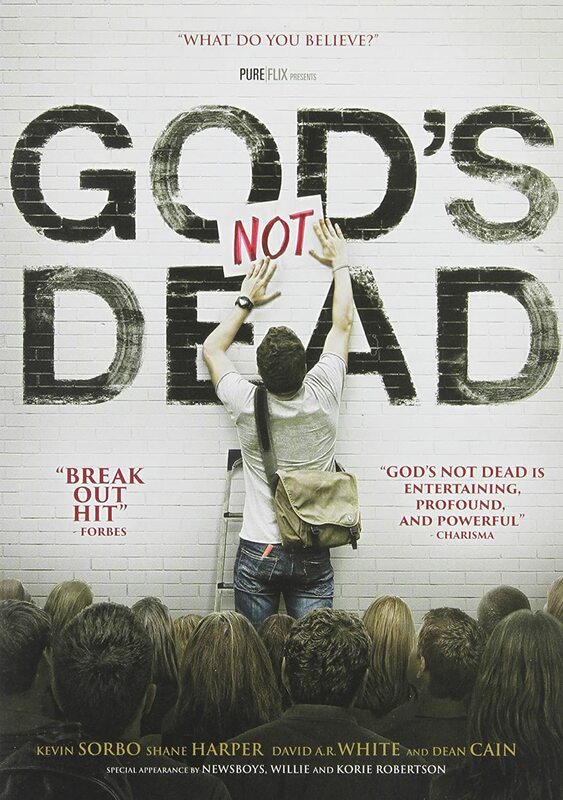 This Christian movie is extremely powerful and inspiring all at the same time. Even though Rachel strayed a few times, we can see God’s grace towards her, how He never left her and for certain we know that He’ll never leave us. By the end of the film, Rachel truly was hanging on to what she believed and wasn’t ashamed of it.